The use of onions for medicinal treatment of illnesses related to bacteria, viruses, fungus, and chronic disease dates back to Egyptian healing practices recorded centuries ago. However, red onions deserve special attention because they are one of the best sources of cancer-fighting nutrients that are limited in the modern American diet. Today researchers believe that up to 40% of cancers are preventable with a change in dietary habits alone. The compounds and dietary nutrients found in red onion are associated with a decrease risk in developing prostate, colorectal, stomach, and numerous other cancers. 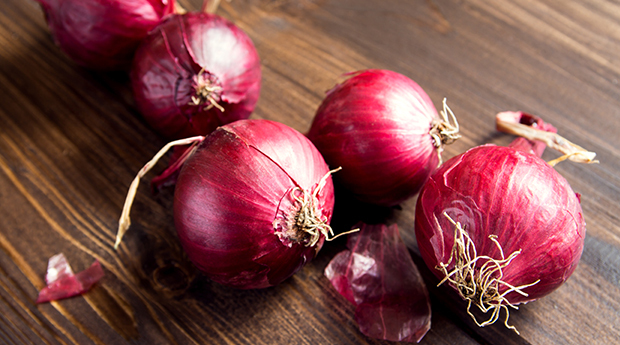 Read on to learn what makes red onions so effective at improving health and how they can help reduce your cancer risks. Thoughts of their distinctive odor and teary eyes probably comes to mind when you think of slicing into an onion, but how about red onions? Red onions are different than other varieties of onion such as the sweet Vidalia onion and the milder flavor white onion. Aside from their flavor and color, red onions won’t make you cry and they also contain different compounds that can inhibit cancer growth. They are part of the collective family of flowering plants belonging to the allium family, known for their rich content in sulfur containing amino acids. This vegetable family has been extensively studied for its protection against degenerative diseases like cancer. The total antioxidant profile of red onions is suggested to increase the activity of powerhouses like glutathione and SOD (superoxide dismutase). 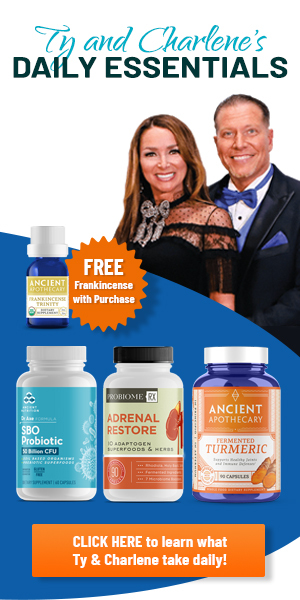 These defense systems protect against cancer by inhibiting inflammation, repairing DNA and tissue damage, neutralizing free radicals, eliminating carcinogens from the liver, and supporting a variety of detoxification pathways that remove toxins from the body. The high sulfur content of red onions alone supports the body’s natural ability to detox. Sulfur stimulates several anti-inflammatory processes which promote healing by enforcing antioxidant defenses. Sulfur is one of the best chelating agents that binds with heavy metals in the blood and flushes these toxins from the body. Sulfur is essential to the health and activity of hormones, enzymes, nerves, and red blood cells. Any interference with these biological processes can lead to the accumulation of carcinogens and the increased inflammation and tissue damage that consequentially increase cancer risks. Onions are also rich in quercetin, a powerful bioflavonoid. Quercetin aids in the removal of excessive estrogen levels from the body. This antioxidant also stimulates liver function to detoxify estrogen and other carcinogenic agents. Cancer cells of the uterus, breast, ovaries, and prostate are associated with having receptors for estrogen to bind. Quercetin also exhibits structural similarities to estrogen making them a possible anti-cancer therapy treatment to target breast cancer cells. Red onions contain health-promoting compounds that improve your overall immune response. Both nutritive and non-nutritive compounds found in red onions act on the body using antibacterial, antifungal, and antiviral effects to reduce the burden on the immune system. The flavonoid content that contributes to these chemopreventive properties is higher in red onions than in their white or yellow family members. Allicin is an antioxidant compound abundantly concentrated in red onions. Allicin is effective at destroying pathogens that weaken the immune response and support cancer development. It combats fungus, bacteria, and viruses. 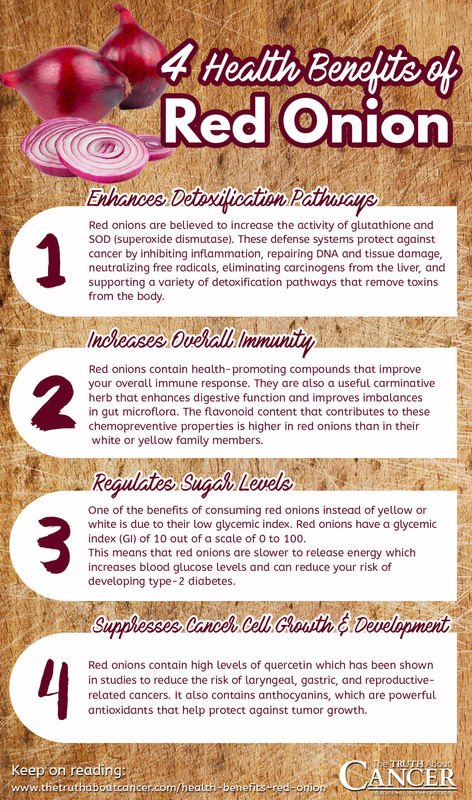 For these reasons red onions are a useful carminative herb that enhances digestive function and improves imbalances in gut microflora. Along with improving natural abilities to detox, quercetin also has a major impact on reducing inflammation. Quercetin is such a strong anti-inflammatory agent that supplements of this compound are marketed to improve the inflammatory immune cell response associated with histamine release. One of the benefits of consuming red onions instead of yellow or white is attributed to their low glycemic index. Red onions have a glycemic index (GI) of 10 on a scale of 0 to 100. This means that red onions are slower to release energy which increases blood glucose levels. Eating foods which don’t raise blood glucose if beneficial in preventing the development of type-2 diabetes. Impaired glucose metabolism is one known contributor of cancer development. Maintaining stable insulin levels is critical to preventing physiological processes that can contribute to cancer. The low GI of red onions is associated with lowering blood pressure, increasing blood flow, inhibiting atherosclerosis (the hardening of the arteries), and also assists in regulating fat cell formation. These vascular health benefits significantly reduce cancer risk because they are linked with an improvement in metabolism. This impacts hormone function and the health of reproductive organs. All of this combined with the anti-inflammatory properties of quercetin allow red onions to help to neutralize free radicals that contribute to DNA damage, abnormal cell activity, and cancer growth. The high levels of quercetin in red onion was given the credit in certain studies for protecting against laryngeal and gastric cancer, as well as reproductive-related cancers. Anthocyanins are a naturally occurring compound that give red onions their red hued purple color. Anthocyanins act as a powerful antioxidant weapon in the fight against a mutant gene called p53 that causes oxidative stress and is associated with tumor growth. Anthocyanins in red onion naturally inhibit the destruction that the abnormal functioning p53 gene can cause on cells and tissue. use as an energy source to grow. By inhibiting angiogenesis, cancer cells cannot form tumors or spread to new areas of the body.The super nutrient quercetin again reveals its powerful antioxidant potential. Quercetin is so effective at scavenging free radicals that it possesses the ability to prevent tumor cell growth. These influences have been reported in breast cancer cells to induce apoptosis (“cellular suicide”) and activate a cyclin-dependent kinase inhibitor (p21) that shuts down many of the influences that enables cancer cells to proliferate. The majority of the anthocyanin content is in the red skin of the onion. Avoid over peeling the onion and throwing these cancer-fighting compounds in the compost. The allicin compound in onions is released only when the onion is chopped or crushed. Like garlic, it is beneficial to activate the allicin compound by slicing into an onion a few minutes before adding it to recipes. Heat degrades many of the antioxidants in red onions. Eating them uncooked as often as possible optimizes the nutrients you are consuming. Consider cooking red onions at a low heat and avoiding high temperatures to limit nutrient loss. Do you eat red onions? If you do, what are your favorite ways to enjoy them? Please share in the Comments section below the article. The compounds and dietary nutrients found in red onion are associated with a decrease risk in developing numerous cancers. They are part of the allium family, known for their rich content in sulfur containing amino acids. This vegetable family has been extensively studied for its protection against degenerative diseases like cancer. Are There Hidden Carcinogens in Nature Valley Products? I seem to be unable to digest onions and garlic. Is there another way to enjoy some of their health benefits? I do love the taste but the need to find other flavorings has made me a more adventuresome cook. Now I’m not sure what sort of red onions my supermarket is selling. Their red onions are super strong and they WILL make you weep! I eat them anyway. Not sure what kind of red onions you use, but when I cut them they still make me cry just like the yellow onions do! But I love onions and use them all the time anyway! I make an avocado salad with minced garlic and red onion, umeboshi vinegar, lemon juice, olive oil, and of course, avocados. I use red onions a lot in my tuna and bean onion salad, my Greek salad, my rice dishes, chile con carne, pasta sauces, my pumpkin filling for tortelloni, my pie fillings, empanadas, Cornish pasties, and my soups and they add good flavor, even if they have a strong flavor, when they are raw. Am I less likely going to get cancer using red onions in my dishes? I love red onions however I only eat organic onions and wee cannot get them in the small town I have moved to. Are non organic ions safe and have as many nutrients. This is great! I was at the store the other day. I had a choice of getting a bag of organic yellow onion or red. Something just naturally drew me to the red ones. I know why now!! Thank you for the article. Well, this does NOT addresses my concern. P.S. Why is publishers comment not published in the comments section? I love to slice red onions up and put them in a bowl and drizzle them with homemade Italian dressing and just eat them that way. We go thru at least ten pounds of onions a week. My daughter eats like an apple ?. I can’t imagine life without onions and garlic they are a main staple in our diets. I consume red onions virtually every day. Lots of garlic and garlicin supplements. I seem to naturally gravitate towards the healthiest foods. They taste healthy too. I love garlic and raw onions. How do you minimize the smell of them com I g out through sweat nd the pores of your skin? I do eat red onions raw as often as I could. I grew up eating raw onions very often. Thank you for suggestions how to use the red onions in dips, and other ways. I appreciate all that you and brother Ty is doing to help people to be rid of cancer. God bless. Red onions used to be mild, but not so anymore! Either that or I have gotten wimpy in the past couple of years! Red onions, and garlic….can’t go wrong on any culinary dish with these. I learned to prepare raw red onions chopping them up and mix with shredded raw carrots and beets, I also add minced raw garlic, olive oil, Hymalayan salt, lemon juice, and I put all this into a glass jar and mix well and then I put a lid on it and keep it in the fridge, and I put this on top of my green salad. I learned a lot from the above article. OG. Thank you for the breadth of information. While I use raw red onions often in salads or salsas, I was not aware of the benefits beyond quercetin or their advantages over yellow onions. Now I will make more informed choices. And I will include red onions in French onion soup! Yes, red onions make me cry too, the same as yellow/white ones! But you are right they are super healthy. I am a 75 year old lady and when I was a child my aunty the nun, use to give me the juice of an onion that had been sliced and put in a glass all night on the windowsill and i think she use to add only about 5 drops of anisett (an alcoholic drink like ouzo) as by the morning it would have become into a potion, that did my astha good. If you keep your onions in a dry place at room temperature, you will get no mould on them. I loved this article. thank you, I have really bad guttate Psoriasis and I am going to experiment with this as a food item . I really love red onion with Swiss cheese chunks, balsamic vinegar arnd romaine lettuce. I think the healing properties of red onions is true . There is a small variety of onion and cut into pieces and mix with green chilly lemon juice , slice cucumber and salt.This salad is abundantly prepared in Odisha with water rice. Excellent article! Greatly appreciated. I will now strive to eat half a red onion each day. Red onions are delicious. I eat them raw, on little chunks of whole grain bread, saturated with either Barleans flax oil or extra virgin olive oil. I thoroughly enjoy eating them this way. I always consume a half an onion in one sitting. I’m glad to find out how very healthful they are. I appreciate all the detail in Dr. David Jockers’ article. Many thanks to Dr. Jockers for encouraging us all to eat more red onion. Excellent article! I eat a lot of raw red onions. I cut up pieces of raw onion, put them on equal-sized pieces of whole-grain bread, and devour them. Delicious and nutritious!